Because most youngsters love horses, this fun collection from Melissa and Doug includes an even dozen of our favorite 4-legged steeds. 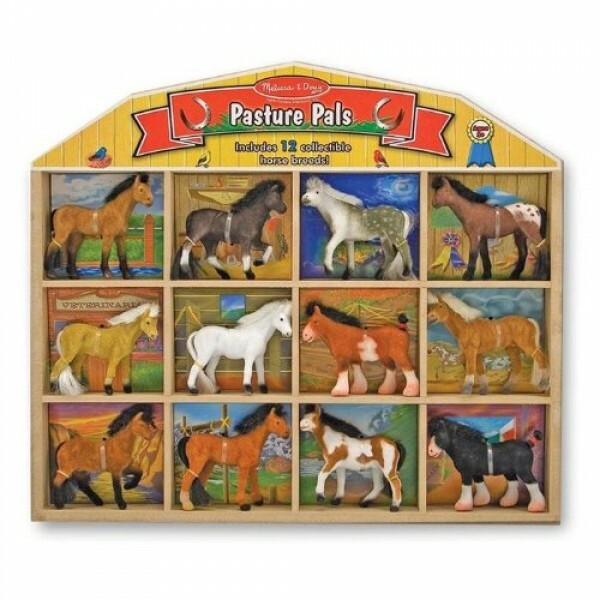 The Pasture Pals set comes complete with 12 collectible horse breeds, a wooden stable storage box and a handy identification key so children can find out more about each of the different breeds. A perfect complement to a farm or building set, Pasture Pals allows for quick and easy cleanup, too: just pop the horses back into their individual nooks and go on your way.